Last year was the year of Carrier ID (CID) and I think most people would like me to stop talking about CID now, but I am afraid to say that 2015 was also the year of CID. Last year, we made some real progress; the technology was there, the resolutions and deadlines in place. This year it has been about implementation. At the beginning of this year, those resolutions issued by the World Broadcasting Union’s International Media Connectivity Group (WBU-IMCG) really came into play. January 1, 2015, was the date by which all satellite operators were required to start the process of implementing CID. This is also that point when all new modulators and codecs with integrated modulators purchased for video uplinking were to contain a CID that meets the ETSI (European Telecommunications Standards Institute ) standard. CID support should now be specified in all requests for proposal for any SCPC and MCPC video and data. Of course, the other important CID guideline is that issued by the FCC which requires all SNG / Flyaway broadcast platforms in the USA to implement CID by June 1, 2016. This has meant that certainly US broadcasters have begun to review and get ready to comply. In the UK, we have been asked by Ofcom to produce a CID report for input to the Electronic Communications Committee (ECC), part of the European Conference of Postal and Telecommunications Administrations (CEPT). IRG hopes this will lead to Europe following the FCC’s lead as well as other regulators and major broadcaster following suit around the globe. For the most part, the satellite industry is aware of CID and how to implementation should occur. However, the biggest area for education is among users and that is a huge task. We have started that process with a series of articles throughout this past year aimed at broadcasters. The IRG also produced a basic leaflet with some key facts and links that were presented at various exhibitions throughout the year. In June, the IRG held a webinar aimed at educating users about interference and mitigation tools. Nigel Fry and Cath Westcott of the BBC jointed the IRG and presented their interference resolution experiences. The webinar was extremely well received and will be repeated in the coming months. The IRG tours at CABSAT and CommunicAsia were conducted once again. This year the tour presented the CID technology as well as focused in on interference resolution in general, spotlighting tools from IRG members. There is no doubt, however, that more needs to be done and we have begun to build a data repository that sits on a new sub-domain of the IRG website and can be accessed by adding a direct icon link to your iPhone or iPad’s home screen. The arduous task of populating the sub-domain has started and hope to have something fully functional before year’s end. Earlier in the year, WORK Microwave teamed with Eutelsat to test DVB CID modulation and demodulation. The tests were carried out a week before the IRG workshop at Eutelsat headquarters in Paris and we had the privilege of the results being presented hot off the press at the workshop. The CID transmission tests were run using WORK Microwave’s DVB-S2 modulator, which includes DVB-CID technology. Eutelsat made capacity available to WORK Microwave on the EUTELSAT 21B satellite, whose pan-European coverage ensured that other members could also participate, including satellite operators Arabsat, Es’hailsat and Intelsat; carrier monitoring system manufacturers Siemens Convergence Creators and Zodiac Aerospace; and the monitoring Earth station in Aflenz,, Austria. The tests were conducted using three scenarios in order to fully test the CID demodulation capability. Scenario 1 tested robustness to constellation variation by using different modulation techniques of the DVB carrier. The participating companies identified no difference in processing capabilities between the different techniques. Scenario 2 involved lowering the transmission power to simulate ASI or XPOL interference. When the power was down to 4dB of SNR, the detection time remained unchanged. At 1dB SNR, this was only affected by around 60 seconds. Scenario 3 tested a real interference case, where both carriers had ID and the companies participating were able to detect the Carrier ID of both the main carrier and the interfering carrier. The IRG was also busy in the field of VSAT interference and this year witnessed a number of updates to the tools that were developed last year, namely SatGuard from VeriSat and GSM Retransmission by Eutelsat, which will make a significant difference to satellite operators chasing down VSAT terminals that are causing problems. Finally, we once again decided to stop everything in favor of a cream tea at IBC. However, this year the event had a twist—we replaced the tea with champagne. This is something we wish to repeat at IBC2016 as well as other events on the calendar. This is a perfect informal setting and allows attendees a break from the show to discuss any topic of interest covered by the IRG. The focus in 2016 will remain on educating users about CID and implementation. We will continue to work with Ofcom and CEPT with the goal of achieving full CID regulation in Europe. VSAT interference will also continue to be an important area, with a big focus on obtaining further support from the VSAT industry now that the all-important tools are available to help identify VSAT interference quickly and efficiently. Integrating CID into old products has been a big talking point of late, as sometimes renewing legacy systems is simply not an available option. The solution is to develop a single chip solution to allow a cost effective CID Embedder to be produced—such would allow older transmission systems to transmit the new CID without the need to renew products. The work has begun on this and we hope to have additional details during 2016. 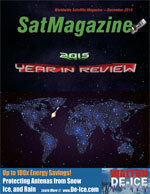 SatMagazine (SM): 2015 has been a tumultuous year in many respects for the satellite industry with new technologies, new players and new money. How has Kratos responded to some of these issues? Stuart Daughtridge (SD): Well, it isn’t just a question of response; in many areas we have anticipated, and in some cases, were in the forefront of change. Kratos is a leading provider of ground system solutions that assure satellite and payload control, meaning that the signal arrives on the ground with integrity, that the signal moves through the terrestrial network without loss or degradation and that it is delivered with quality to the end user. In many respects ground system architectures have remained constant for the last 40+ years; but now, technology is pushing ground systems into a new generation. Some of the key trends are virtualization, advanced signal processing and IP over everything. All of this is driving us toward a virtual ground architecture, which will enable rapid deployment, reconfiguration, and movement of services through virtualized antenna assets. This will greatly simplify ground system design and operation, and improve RF performance by allowing the distance between processing and antenna to be determined by mission requirements instead of signal degradation. SM: When will all this occur? SD: Products enabling these technologies are coming on the market now. One of which is SpectralNet™, a technology that digitizes and transports IF spectrum over IP networks in a way that preserves both frequency and timing characteristics. This brings disruptive innovations to the ground segment architecture and enables benefits including centralization or decentralization of ground system assets, robust site diversity for rain fade mitigation, increased flexibility in antenna placement, signal throughput optimization and virtualization of ground segment signal processing. SM: What about changes that are taking place in space? SD: Let’s start with HTS satellites. As the number of HTS satellites with multiple spot beams increase, monitoring capabilities will be required in many more locations driving the need for Carrier System Monitoring (CSM) solutions that can cost effectively monitor all of the spot beams and effectively manage all of the information from these spot beams. Kratos has developed Monics Series200™ as a part of Monics®, the industry-leading carrier system monitoring solution, to solve the low cost beam monitoring need and Monics Enterprise Manager™ to provide advanced visualization and management capabilities to allow an operator to more effectively manage a fleet of HTS satellites. As for small satellites, like large satellites they require command and control software, data processing, networking and RF signal processing. What they don’t require is the same degree of complexity and added cost of traditional ground systems. You have to change the model to one of commercial software procurement, rather than program management procurement, that will enable operational capability in days to weeks, instead of months to years, and standards based products with well documented APIs that are easy to use and expand. The industry needs a new and consolidated approach to small sat C2 and RF signal processing… a turnkey solution that is simple to install and operate, fits tight budgets, and can meet aggressive mission schedules! This year we introduced quantumGND, a complete small sat ground system package that includes everything you need from the C2 system, through the ground network, to the ground modem – giving operators a pre-integrated, affordable, easy to use solution, with advanced automation tools. SM: Are there other considerations that are, or will, affect the industry? SD: Yes, one of the most important is the customer transition from wanting a SATCOM system, to wanting connectivity and not caring about the technology that provides that connectively. One of the interesting impacts is the transition from managing devices and networks to managing customer services and SLAs. There are a couple of key actions that service providers are starting to implement that can help assure SLA compliance and improve the customer experience. First, prioritize by managing the network to maximize profits. Second, predict enterprise service problems ahead of customer impact. Third, implement intelligent service rules to reduce Mean Time to Repair (MTTR) for both fixed and mobile satellite services. There are others, but these give you a sense of what I mean. For Kratos, NeuralStar SQM™, when layered on top of a network service, provides all these capabilities and more. It improves the quality of services and more effectively manages SLAs, resulting in enhanced customer care, increased customer satisfaction and higher profitability from network operations. NeuralStar SQM™ minimizes service disruptions to customers by discovering issues faster and helping operational staff resolve them rapidly. It essentially addresses the three key actions I just described in addition to others required to help assure SLA compliance. SM: What about the future… what’s ahead for the industry and for Kratos? SD: Pretty much the advancement of the market and technology trends we have been discussing. It is a really exciting time to be in the satellite industry. We are at an inflection point being driven by several technology and market factors that will make the next several years the most exciting in the industry since the race to the moon. SM: Thank you for your time today, Mr. Daughtridge. Airbus Defence and Space and the company’s direct to end-user sales channel, Marlink, have always been connectivity agnostic. Such benefits our customers as they are then offered a solution based on their communications needs and future requirements and we benefit from strong partnerships with leading players in the industry. To move to this position, Marlink has had to develop an all-encompassing service portfolio, which ensures the correct solutions are readily available for reliable services for a massively diverse customer base that operates across all maritime verticals. In 2015, the company took agnostic connectivity one step further, moving into uncharted waters by implementing a shift in perception of what maritime communication is about and what that means to the customer. We became frequency agnostic. The concept is simple. By removing focus on the radio frequency connectivity used for delivery, the focus is now more on the requirements of the vessel. How the Internet connection is achieved is of little concern—being connected via a service that works is the goal. Why should users at sea need to be thinking about frequency bands? During the spring, we engaged with the maritime industry regarding a new multi-band service concept. More than anyone, Marlink understands that radio frequency band is important; however, what the company is trying to do is show that such is not important to the actual user, as long as they have the level of service and quality requested. Marlink is uniquely positioned to drive this significant shift in the perception of maritime SATCOM. We have access to all services — Ku-, Ka- and C-band VSAT, L-band MSS and LTE. As many, or as few, of these service types can be installed, as needed, on vessels. The transition between the radio frequency bands and service types can be automatically handled without the customer knowing how—they are online and getting exactly what their Service Level Agreement (SLA) states. The company has established a strong foundation based on unmatched satellite network capabilities that include a seamless global VSAT network that is unique in reach and composition in the maritime market. This network is comprised of many satellite footprints; to the market, we offer a single network for worldwide VSAT coverage with the VSAT network complemented by an ability to integrate L-band connectivity. The important factor is that not a single vessel that is serviced by Airbus Defence and Space and Marlink will ever be offline. The final piece of the puzzle is LTE (Long Term Evolution)—3G and 4G, which augments the VSAT services and, in some cases, even betters those services when taking latency aspects into account. LTE was added to the mix in May when Marlink announced a deal with high capacity, offshore communications provider Tampnet for the delivery of offshore, LTE-based services in the North Sea. The agreement with Tampnet forms the foundation for Marlink to integrate cutting-edge, low-latency 4G services into the services portfolio, which today is used by Marlink-equipped, offshore support vessels for operational and crew communication in the North Sea. By adding 4G services to the connectivity portfolio, vessels are better accommodated in the North Sea by providing them with the best available connectivity at any time. A key aspect of Tampnet’s 4G infrastructure service for offshore communication is low latency, with Round Trip Delay between offshore vessels and client corporate offices expected to be no more than 25 to 35 ms, depending on the locations. This supports a high-quality user experience for diverse applications where lower latency can improve performance, such as video calling or machine-to-machine communication on critical, specialist operations. This partnership with Tampnet will help the company meet a significant market requirement and is integral to the development of the hybrid, low-latency connectivity solutions where VSAT, MSS, 4G and Wi-Fi combine to provide a seamless user-experience that offers value and availability. Tampnet represents the start of Marlink strategies to engage with more global LTE providers, supporting a multi-band approach by offering a range of non-traditional services to the Airbus Defence and Space and Marlink portfolios. The next step in this journey was the June launch of the first true multi-band, hybrid product for the maritime market. Designed for users of Marlink’s customized Sealink VSAT services, the new SMARTconnect hybrid solution seamlessly combines multiple communication carriers to provide the best available link, all based on pre-defined parameters set and managed by the customer. The connectivity service delivery is independent of specific carriers, which delivers greater flexibility and control for the customer. SMARTconnect integrates Ku-, Ka-, C- and L-band SATCOM services with 3G/4G LTE, Wi-Fi and Tampnet LTE to provide a unified link for the ship owner. Further carriers or new technologies can be easily added to the solution, leaving space for continued development of this multi-band approach. The system demonstrates that alternative communication carriers can supplement existing VSAT services, providing QoS based connectivity at the levels demanded by users for regular and critical operations. In operation, selection of alternate carriers is based on multiple criteria that include: service requirements, backup parameters, low-latency access, high bandwidth, better throughput and/or a combination of all of these. Routing logic can be established to enable automatic, seamless switching and ship owners have full control of how communication is routed via a management interface—this allows them to manually set priorities according to their own requirements at any given time. Marlink will continue to use available services, accommodate emerging technologies and build strong partnerships with third parties to future-proof SMARTconnect and generate significant savings and operational benefits for ship owners. Looking forward into 2016, this focus on multi-band hybrid solutions will continue. The industry’s perception of maritime SATCOM won’t change overnight, so we will continue to deliver band specific services to thousands of vessels around the world. With the strong foundations Marlink has laid in 2015, the company fully expects our new SMARTconnect concept to be more widely adopted in 2016 and beyond. With more than three decades of experience, ND SatCom is a premier supplier of and integrator for innovative satellite communication equipment systems and solutions to support customers with critical operations anywhere in the world. Customers in more than 130 countries have selected ND SatCom as a trusted and reliable source of high-quality; secure turnkey and custom system-engineered communication solutions. The company’s products and solutions are used in more than 200 transnational networks in government, military, telecom and broadcast environments. All systems, components and solutions are engineered and manufactured to the highest German quality standards. This has been a special year for ND SatCom. In June, the firm announced the official launch of SKYWAN 5G, the ONE—Mastermind of SATCOM Networks at CommunicAsia in Singapore. SKYWAN 5G enables a highly flexible, scalable and reliable VSAT network. The unique hardware design of this all-in-ONE compact unit means there is full functionality on board. Whether a star, multi-star, hybrid or full mesh network is needed, SKYWAN 5G fits all topologies and even supports switching to another topology, over time. SKYWAN 5G also plays a variety of network roles, such as a hub or a remote, which simplifies logistics and customs handling as well as enabling unprecedented scalability as demand for network growth increases. Additionally, SKYWAN 5G can be reliably integrated in Manpacks, Fly-Aways or any other VSAT solution. SKYWAN 5G includes an MF-TDMA modem and is capable of achieving significant data rates. Designed as an all-in-ONE device with high network redundancy and a wide range of IP support, SKYWAN 5G allows data to be transmitted in a single hop directly from their origin to their destination, thereby avoiding double hops and extra delays. Bandwidth is dynamically allocated as required, generating substantial savings in satellite capacity cost. • At the October TechNet show in Berlin, ND SatCom and RUAG Defence (Switzerland) announced a partnership to incorporate the SKYWAN 5G into the RUAG ARANEA Communication Solution as a new portable terminal for military networks. SKYWAN 5G is the ONE that fits all applications. This flexibility and simplicity in hardware makes it especially suitable for applications within the areas of Air Traffic Control, the Energy sector, Cellular networks, disaster recovery & emergency response, closed enterprise networks and governmental networks. SKYWAN 5G is well suited to match all service providers’ needs: the ONE unit simplifies logistics and, with its Virtual Routing and QoS capabilities, allows traffic separation with extremely high service quality guarantees for voice and video applications. Cascading the ONE unit (using identical units) allows for increased bandwidth without specific HUB designs. As a result, iDirect is going to replace its discontinued infinity mesh offering with the SKYWAN 5G solution. Satellite communication systems are provided worldwide by a small number of global players—ND SatCom is one of the technology and service leaders with a unique value proposition for customers and partners. ND SatCom is more than a product manufacturer—the company offers customers application-oriented satellite communication solutions. What is promised is fulfilled—the commitment is to provide the most innovative and reliable network solutions on the market. 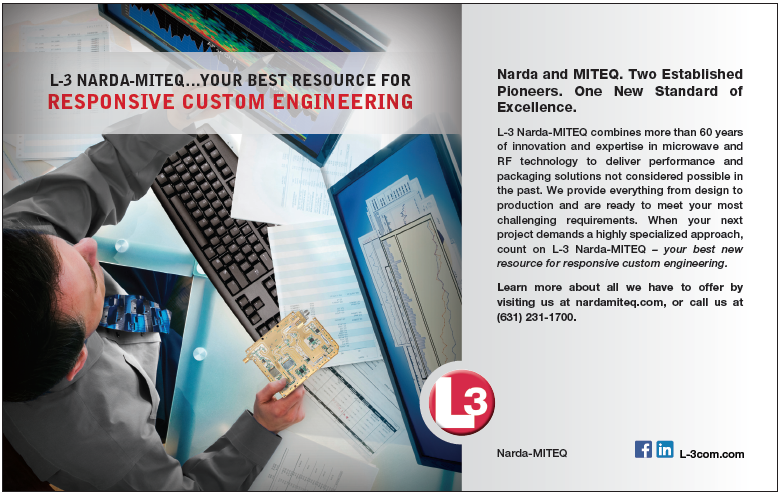 Teams of dedicated engineers are available with the expertise and customer focus to maximize quality and optimize performance and all customers are well supported. During 2016, ND SatCom will be focusing on SKYWAN 5G partner programs. This modem will revolutionize the world of VSAT networks, especially in the areas of government and cellular networks as well as with corporations and service providers.